Denim and jeans – the famous trousers made of this textile – have a long history… Originally made in Italy in the 16th century, today jeans are a must-have of casual fashion all over the world. Denim is an inspiration even in the world of beauty, we can find a lot of eye shadows, eye pencils, nail polishes and much more in the typical “jeans colour”. If you love wearing jeans every day, here are some suggestions to complete your outfit with something special! A walk in the town centre with your friends, doing some shopping, having a drink… and the perfect makeup is on your eyes with this eye shadow by Maybelline! A blue jeans color in a half and a shiny marbleized shade in the other one to create different looks everytime. 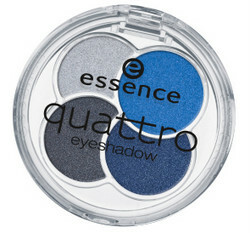 If a blue shade is not enough, here you are this small palette by Essence. 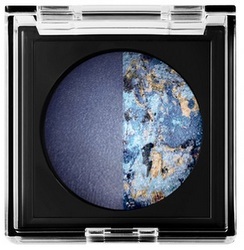 It comes with four shades of blue and four different textures from pearly to glittery. What else you can desire for your eyes? Lipstick Queen –Jean Queen LipstickThis lipstick has the perfect colour that you can match with your favourite pair of jeans or, at least, that’s the idea Poppy King’s had when she created it! She describes it as “the denim’s best friend”… would it became yours too? A totally denim inspired polish in indigo colour that comes with mini silver and gold stud stars. With this set by Nails Inc., it’s just like wearing jeans on nails! The set includes the glue to apply the studs and a cuticle stick. If you desire another original but easy nail art, you can apply a blue jeans coloured polish and then a zip nail art decal on your nails or one only. Just type “zip nail decals” or “zip nail stickers” to find shops online where to buy them and many tutorials to create funny nail arts. Now it’s time for me to go out… What I’m going to wear? A pair of jeans, of course!